A government relations professional with over 17 years of experience, Mr. Emery has advised Members of Congress, a Cabinet Secretary, Agency Administrators, an Under Secretary for International Trade, and executives from Fortune 500 companies. Prior to joining Mercury as a Senior Vice President, Mr. Emery was a Partner at The Madison Group and served as Chief of Staff for Congressman Steven Horsford (D-NV). 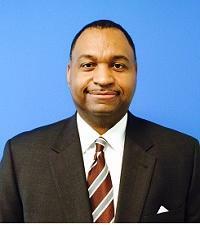 Mr. Emery served in the Obama Administration as a presidential appointee at the United States Department of Commerce. As Director of Congressional Affairs for the International Trade Administration (ITA), Mr. Emery coordinated the bureau’s engagement with Congress on issues ranging from market access to anti-dumping cases. During his tenure, Mr. Emery was granted the opportunity to staff Commerce Secretary Gary Locke and Under Secretary of International Trade Francisco Sanchez during their bilateral negotiations in Chile. Another highlight of his tenure at ITA required Mr. Emery to spearhead the agency’s successful efforts to secure appropriations in support of President Obama’s National Export Initiative. Mr. Emery received a second appointment where he served as the Associate Administrator of the Office of Congressional and Intergovernmental Affairs for the United States General Services Administration (GSA). As the lead legislative advisor for the GSA Administrator, Mr. Emery’s portfolio consisted of a variety of issues ranging from federal procurement, government-wide policy and federal real estate leasing. Mr. Emery managed the preparation process for over 30 hearings in support of the GSA Administrator, Deputy Administrator and commissioners testifying before Congress. While at GSA, Mr. Emery also successfully coordinated several legislative roll outs targeting Congress on issues ranging from the purchase of electric vehicles, electric waste and the agency’s transition to cloud computing. Prior to accepting his presidential appointments, Mr. Emery served as the Vice President of Public Policy and Research for the Council on Foundations. Within this role Mr. Emery served as the lead policy advisor for the trade association representing the collective interests of the nation’s largest foundations before Congress. During his tenure, donor advised funds were successfully removed from the IRS’s Dirty Dozen List, the first ever Rural Philanthropy Conference was convened and the Congressional Philanthropy Caucus was established. Before joining the Council on Foundations, Mr. Emery served as a consultant at two lobbying firms representing the interests of Fortune 500 companies and local municipalities. Each portfolio required engagement with the respective tax, banking and appropriation committees on Capitol Hill. On behalf of Abbott Laboratories, Mr. Emery coordinated an outreach initiative on Capitol Hill highlighting a national hypertension-screening program. On behalf of Waddell & Reed, Mr. Emery represented the mutual fund before the Senate Banking Committee regarding the Security Exchange Commission’s proposal on the independent chairman issue. With regard to appropriation projects, Mr. Emery successfully secured appropriations for the cities of Gardena, California (economic development) and Florence, South Carolina (water and sewer system). A native of Los Angeles, California, Mr. Emery received his Bachelor’s Degree from Howard University and his Juris Doctorate from the University of Illinois College of Law.